Strangely, many of these casual dares pointed to the possibility that O. and I would be fine, and even more strangely, I gained confidence when they worked in our favor. Sounds crazy, hanging your heart on random, quirky coincidences, but it’s a habit I’ve gotten into, a ritual I find comforting. So, when I stumbled upon a picture, after a little digging, of his co-worker with the words “O. 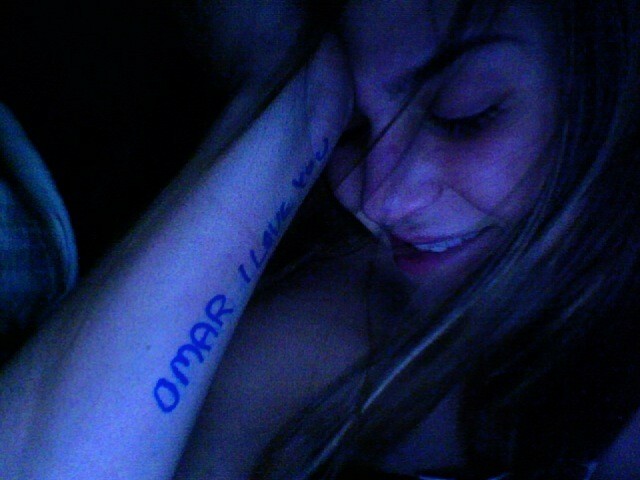 I love you” scrawled up her arm in blue magic marker, my heart sank. I thought of all the times he told me there was nobody else and ticked off, one by one, the number of lies that had been told. When I tell people I feel ashamed I was so naive, feel so ridiculous for not having walked away sooner, they are quick to offer comfort. “You wanted to keep your family together,” my mom said, “what’s wrong with that?” And there is nothing wrong with that; there is nothing wrong with hope, I have to remind myself. Posted in Affair, life, O.